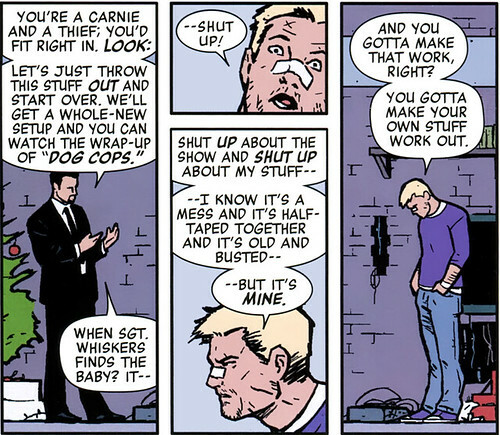 At a recent Comicazi Book Club meeting we were discussing Superman: Secret Identity. Without getting too deep into this book, it’s about Superman, but also not Superman and explores a different characterization of the character. While I thought the book was fine, I couldn’t connect with this version of Superman. He wasn't the paragon he is usually portrayed as, nor was he enough of a loser to stir up any strong feelings. He just sort of "was" and I didn't know what he was reaching for. Which brought me to this conclusion…lovable losers are my character jam. Heroes and villains are easy enough to get. And there is something delightful about characters who are so black and white. It’s hard to beat a villain you love to hate. But what about those characters who try so hard to head to one end of the spectrum, to be the best hero or villain, but keep falling back thanks to their own failings? They rarely catch a break, but keep grinding, and because of this, I love them the most. It’s my post, so you are going to get my introspection about this and my thoughts on what's gone into some of my favorite characters. Feel free to (respectfully) disagree. 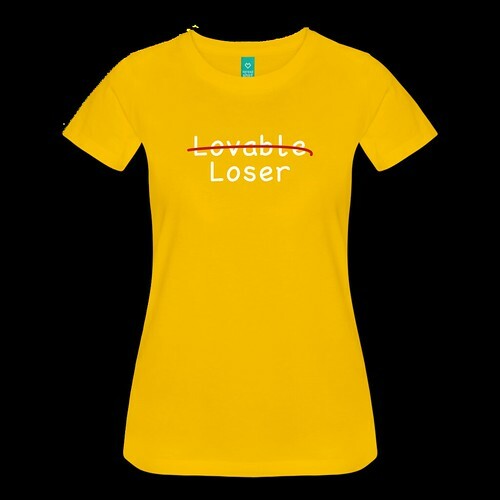 So what is a Lovable Loser (LL), as opposed to a regular loser? Well lots of things. But the core of what makes these characters is the willingness to try, often in the case of overwhelming odds. They also rarely complain about this, and if they do, it's often a passing quip, rather than a pity party. They can take a punch, and mostly likely feel like they deserved it anyway. They are brave, maybe even fearless to a fault. There is genuine intention and earnestness. In some cases a LL may come off as seen as cocky, but that's to disguise self-hatred. And despite all this, you actually want to spend time with a Lovable Loser, because a Lovable Loser doesn't give up and rarely settles. Hawkeye (especially the Matt Fraction run)- The guy is an Avenger, gets in trouble with the cops anyway Dean Winchester (Supernatural)- Has literally been to hell and back Dr. Zoidberg (Futurama)- Is having fun with friends..despite living in a dumpster Nux (Mad Max: Fury Road)- Being mediocre doesn't stop him from trying to be a hero Jessica Jones (Alias)- Makes Hawkeye look put together Seymour Krelborn (Little Shop of Horrors)- May or may not cause the destruction of the human race Willow Rosenberg (Buffy)- The little witch who could, and then couldn't, and then could, and then couldn't.... And I could go on…..
What makes a loser less lovable? Again, opinions may vary, but as character tropes go I don't like a defeatist. Nothing bores or frustrates me more than a character with a permanent rain cloud over their head. If you aren't trying to to figure out how to take those lemons and squirt them in someones eye (lemonade is not necessary), there are only so many times I can watch someone be a doormat. If the character doesn't care, why should I? I know these characters have strong and loyal followings and are lovable to a lot of people, but they don't click for me. Frankly,they just make me sad. So, Lovable Losers, they may be the human equivalent of a slow motion car crash, but ultimately they are endearing. And I would argue perhaps the most human of character tropes. We all want to do the best we can, but it doesn't always work out. The difference is getting up and trying again.